Created to give you that satisfying feeling of euphoria that you get when you reach the summit, just above the cloud line. Well, that’s a lofty (tee-hee, pun intended!) goal, and we think the folks at CloudLine come pretty close with their Medium Cushion Hiking Socks. Yes, they are socks, but they can make all the difference when you are on mile 4 of that hike that takes you straight up the mountain with that incredibly steep, endless incline. Made out of a blend of merino wool, nylon, and a touch of Spandex, they are soft, comfortable, moisture wicking, anti-microbial, and stay in place (read: no blisters!). 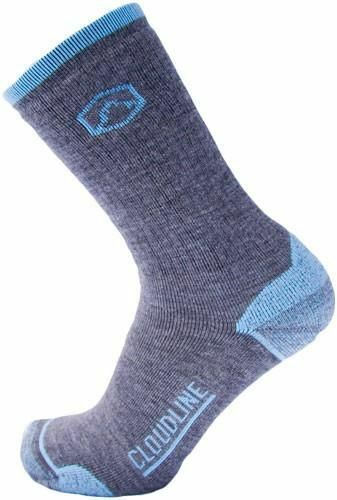 CloudLine offers 3 levels of cushioning (Ultralight, Light, and Medium) in their socks. We choose medium and found them to provide just the right amount of padding for our hiking forays in the Pacific Northwest. Though identified at hiking socks, we look forward to using them this winter while snowshoeing and cross country skiing, too. As they say, “experience the CloudLine”.